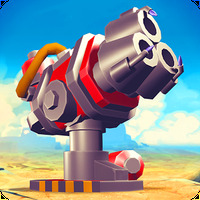 "Blast away endless hordes of enemies from your device!" 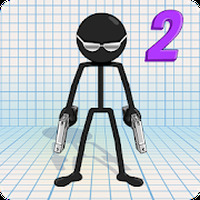 Game Goal: Gun Fu: Stickman 2, will test your nerves and reflexes to the extreme in exciting duels, in which the Stickman will have to eliminate all opponents to avoid losing his head during the shootings. How to Play: To overcome the challenges, you can unlock a number of accessories to customize your hero, and weapons to make him faster and more powerful. You can also play in a multiplayer mode and see the rankings of the best players. 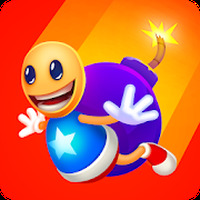 Graphics: Following the style of Stickman games, Gun Fu has light and fun graphics, especially the hilarious expressions of enemies! Sound: There is no soundtrack, but the effects are fully suited to the theme of the game. Controls: The player must follow the tips that appear on the screen and hit enemies using the touch commands. Languages: Available in various languages, including English. Content Classification: The game includes scenes of violence, so it's recommended for users over the age of 12. Requirements: Compatible with Android 4.0 or higher. Developer: Dobsoft Studios	- Recommended developer. Installation requirements: A minimum of 62M of free memory space and Android 4.0 or higher. Ranking: The TOP 1 Most downloaded games in Gun Games category. You can challenge friends in real-time in the multiplayer mode. There are several features to customize the Stickman. Various weapons to choose from. It requires the updated version of Google Play Services. Lags can occur during duels. Do you like Gun Fu: Stickman 2?